Everyone's rating [Performance] TouchandControl are excellent. A hard hitter model that controls the rally with "Fore Smash, Back Drive". Yoshiki	（Experience：６〜１０ years）	Men must see! The Duora series often fly backhand. Those who are from intermediate to advanced, and those who do not fly backhands during reception definitely would like you to try it! If I have not used it I think that surprisingly backhand will come to fly! If you can make a game from Receive, I think that badminton will be able to be more fun than spreading the width of play! In the 50s specializing in doubles, 2U is stretched with Ultimax 27p. 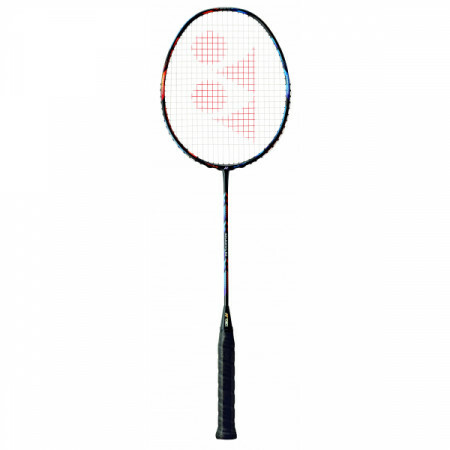 Originally I was using the satellite 6.5 blast of Babola and the 3U of the Duo La Z Strike in 30p, but I started to use the Duo La 10 as a racket that can be used more easily and quietly. At first, I felt that the shaft was soft for the first time, and I didn't feel the power, but if I put at 27p or more, all the shots improved and the attack was good though the smash was not as fast as the stupid blast. Pleasure, the drop is also determined well because it is a moderate head heavy. It's a great racket, except when it is necessary to maximize the attack power with a male dub, it will get rid of almost ten. However, I feel that there is quite a habit, though it is not as good as Blast or Z series. Once you get used to it, it is likely that you will no longer need other rackets. Peppipo pumpkin	（Experience：６〜１０ years）	Easy to control NICERACKT! I graduated from Chuo University and used it often (Gat was an aerobite). When I first used it, I could not play like I thought. After all, I thought that it was useless because it was not a top light like a nanowire. When using it, I thought that it would be better to practice at a vacant time as I get used to it. After all, it was easy to control, it was easy to use as much as you could hit in the place you wanted to hit. There was also resilience, I could hit the smash quickly. However, difference was not felt so much between the front and back. Well, I can also target coat, so overall the evaluation was good. It is an impression of 3U. It was a feeling that made Ark Saber 11 hard. At the time I bought VTZF 2 was used as the main of singles, I used Ark 11 as the main doubles, Duola 10 was subtle. It is a racket that I do not recommend much. First of all it is lightweight and easy to hold thin grip. Therefore, because it can shake gently, speed comes out, there is very feeling of hitting. Also, it's lightweight and easy to handle, and it's easy to control. The price is not so expensive. It is a racket that is often used by professional athletes. I was suffering from the power shortage of the backhand at the time of receiving, but the backhand often began to fly after using this racket. It became possible to make games from the reception, and the range of play has expanded. I smashed quickly and accurately. Drive was easy to control, it was able to be a musical by moving opponent. It is said that the back is weak, but made it fly back easily. Cutting back of the face of the racket is fun (easy to understand). Although I hear the voice that it is hard to use, it was not easy to use.